While a talent management strategy that unifies every phase of the employee lifecycle is critical to building a resilient, engaged workforce, it’s only the beginning. Getting the most from your people—while keeping them engaged and committed—takes not just talent management but talent mobility. 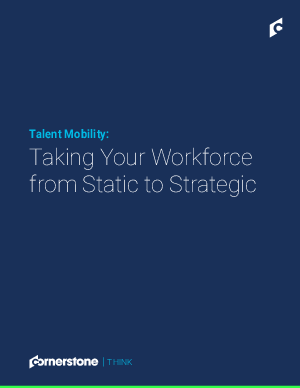 Download the whitepaper and discover how driving talent mobility elevates the traditional talent management strategy from a static infrastructure to a strategic vehicle!